Need more information about booking Home 9243534 ? Ideally located in Bournemouth only a few minutes stroll to 7 miles of sandy Blue Flag beaches and ten minutes walk to the town centre with its array of activities, shops, restaurants, bars and casinos. Bournemouth is becoming one of the UK's top holiday destinations. ​The accommodation is modern and neutral throughout and is a great base to explore all the South Coast has to offer including the breathtaking Dorset Jurassic Coastline. 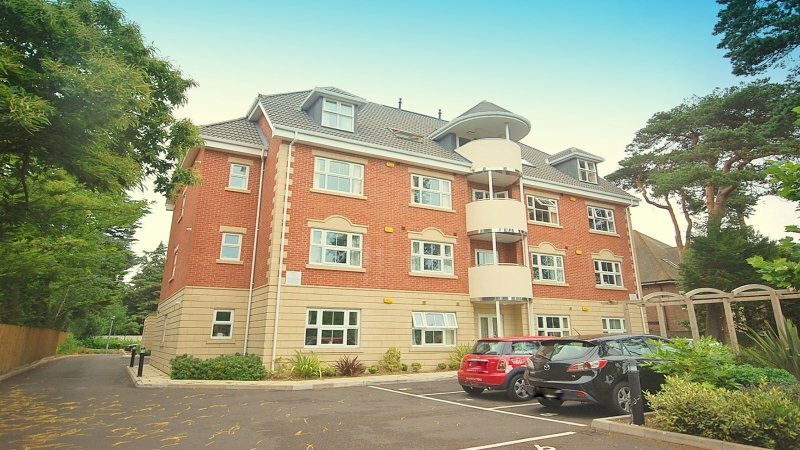 This ground floor apartment includes two double bedrooms both with fitted wardrobes, the open plan living accommodation with kitchen including everything you will need for your short break away, the lounge has a seating and dining area. The property sleeps 4 comfortably with a fold out sofa bed to accommodate 6 people if required. With so much to do and see, Bournemouth is a great base to visit all that the South Coast has to offer including the National New Forest Park, Award winning blue flag sandy beaches and the World Heritage Jurassic Coast. Bournemouth Airshow is not to be missed, this year on 30th August - 2nd September 2018 . The Bournemouth international Centre is within walking distance. The property has parking for one vehicle and a communal bike store served on a first come first serve basis. You will be provided with contact details for your stay upon booking. The apartment is set on the ground floor of this purpose built block, we wish for your to enjoy your holiday and only ask that you consider your neighbours throughout your stay and keep the apartment and communal areas tidy. This Apartment has 2 bedrooms, 1 bathroom and sleeps 6. It’s been listed on Holiday Lettings since 19 Jan 2018. Located in Dorset, it has 1 review with an overall rating of 4. The average weekly rate varies from £687 to £859. A great location. Easy to find. Modern with all facilities provided. We walked to both beaches - Bournemouth and Boscombe. Parking space great and WiFi worked well. Only reason not 5 stars is that the kitchen could have been a bit cleaner. Microwave and fridge both dirty and we had to wash all cutlery and plates before using. Apart from this we had a lovely stay and would come again. Thank you. You can get in touch with Clair (the owner) through the contact form on this page. Send Clair (the owner) an email through the contact form on this page. Alternatively, if there’s a phone number on this page, you can call them. How do I contact Clair (the owner)? If you’ve already booked, go to Manage your holiday booking to view Clair the owner's contact details or send them a message. Or send Clair (the owner) an enquiry through the Contact the owner/manager form if you’d like a quote or more info first. When you pay online through the Book your stay form, a booking request is sent to Clair (the owner). You’ll find out within 24 hours whether they’ve accepted - no money will leave your account before then. You can also request a quote from Clair (the owner) through the contact form. The owner will email you the total cost for your dates and a link to book and pay online. Use the Book your stay form to pay provisionally online. You can pay by credit/debit card or PayPal. Clair (the owner) will have 24 hours to accept the booking and no money will leave your account before then. Why can't I call Clair (the owner) before booking? You’ll need to contact Clair (the owner) to do this. Send them a message in Manage your holiday booking or through the contact form on this page. You can request to change the dates or number of people on your booking via the Manage your holiday booking page. To change your holiday dates use the Edit booking button. If you need to change the number of guests staying then send Clair (the owner) a message. If Clair (the owner) agrees, they’ll send you a revised quote outlining the changes. You can review and accept/decline this from the Manage your holiday booking page. You’ll have 48 hours to take action before the revised quote expires.